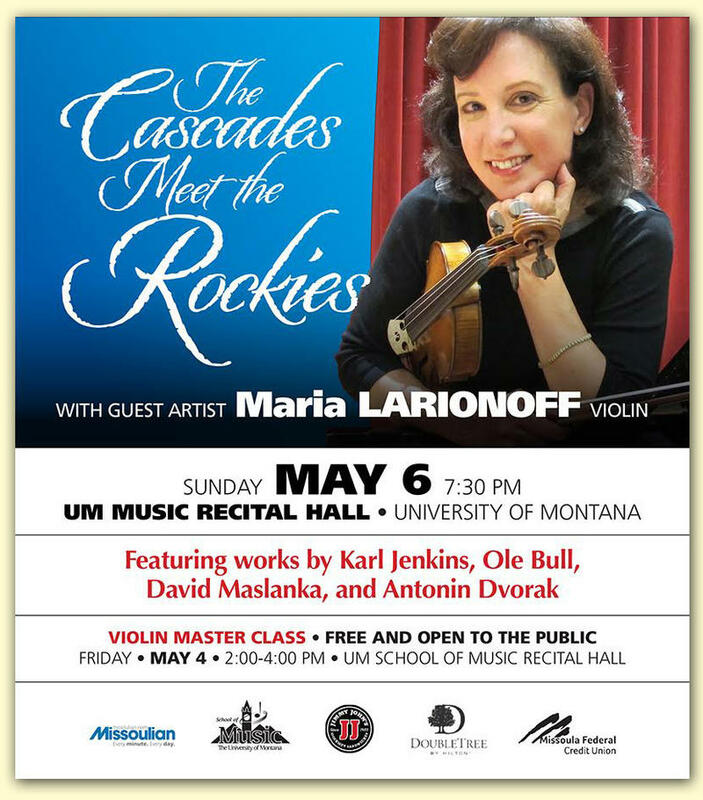 New artistic director and violin soloist for The String Orchestra of the Rockies Maria Larionoff joins us, along with outgoing artistic director and cellist Fern Glass Boyd, to preview the SOR's May 6 performance, "The Cascades Meet The Rockies." "I'm thrilled, as is the whole orchestra and the board," Boyd says of Larionoff's arrival. "I know that our audiences will be also thrilled to have her be our new leader and bring more exciting and fantastic things ahead for the orchestra and the Missoula area." 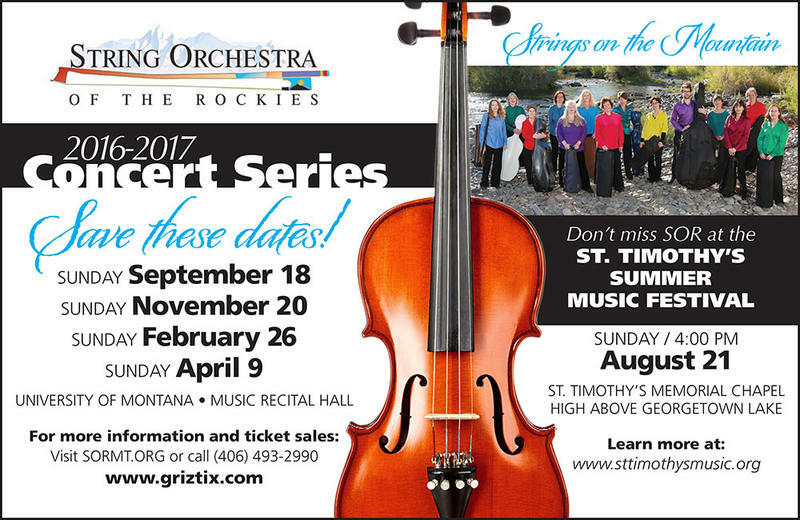 Michael Marsolek talks with cellist Fern Glass Boyd and violinist Carrie Krause about the February 21, 2016 performance of the String Orchestra of the Rockies, 7:30 p.m. at the Music Recital Hall in the School of Music at the University of Montana-Missoula. 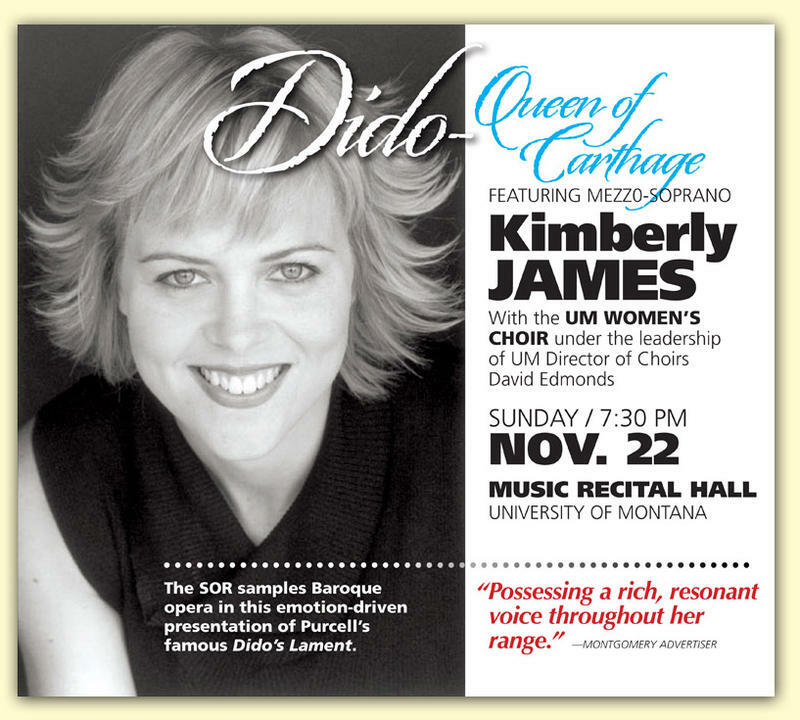 Michael Marsolek talks with Fern Glass Boyd, cellist and Artistic Director of the String Orchestra of the Rockies, and mezzo-soprano Kimberly James about the November 22, 2015 SOR performance titled "Dido - Queen of Carthage." 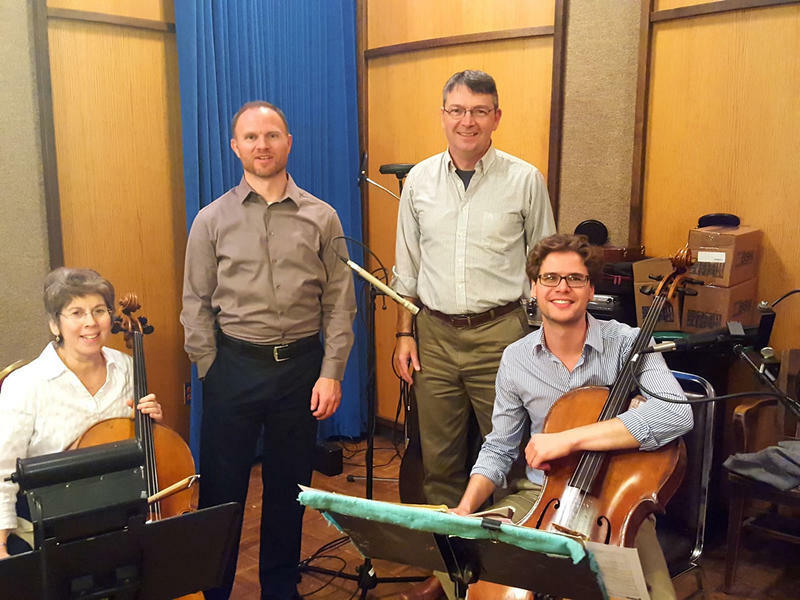 Special guests Fern Glass Boyd, professor of cello at UM; Christopher Hahn, professor of piano at UM; and Theodore Buchholz, cello professor and head of strings at the University of Arizona played a live studio session at Montana Public Radio Monday, October 12, 2015. Enjoy the music of Rachmaninoff, Greig, Arvo Pärt, and Délibes recorded live from MTPR studios.